When GE Money revealed last week that it will not offer mortgages to borrowers who had taken more than two payday loans over the past year, many expected a reaction from the government, however, the government did not act on the issue and consumers are finding themselves once more alone at the mercy of lenders. Labour MP Stella Creasy slammed the government for refusing to act on the new development. Last week, GE Money confirmed that it will start disqualifying borrowers who have taken a UK payday loan over the past three months and those who have taken more than two payday loans over the past year from receiving mortgages. According to a spokesman of the firm, GE Money is reviewing its lending conditions in the current difficult financial market, and borrowers who have taken recent short term high interest loans are likely not to be considered for mortgages. Creasy, who has been vocal in the past calling for regulation of UK payday loan lenders says the move is further proof that payday lenders are damaging UK consumers' credit worthiness. She says the fact that GE Money will be using payday loan borrowing as a guide to disqualify mortgage applicants is further proof that these loans cause households to move into debts in these tough economic times. She slammed the Government for its lack of interest in regulating UK payday loan lenders and termed the move as "unforgivable". Millions of UK consumers seek loans to make ends meet, and the Government has enough clout to prevail on payday loan lenders and regulate the amount of interest that consumers are charged. However, while GE Money has taken a firm decision regarding payday loan borrowers, the other five largest mortgage lenders in the UK are not following the company's steps. The top five biggest mortgage lenders ruled out automatically disqualifying applications who have already taken short term cash loans. Royal Bank of Scotland, Lloyds, Santander, Nationwide and Barclays, do not currently screen applicants although some of them carry out manual reviews if a borrower's credit report contains more than one payday loan. UK consumers may now have to take deliberate steps to find ways to make ends meet through other ways apart from taking payday loans. With last week's development, it is only a matter of time before more lenders start tightening credit rules on customers who have taken payday loans in the recent past. Analysts point out that GE Money's action is likely to be adopted by other lenders in the coming months. This is drawn from the fact that Experian UK has now started listing payday borrowings separately in the credit report. Previously, payday borrowings were included together with other borrowings. 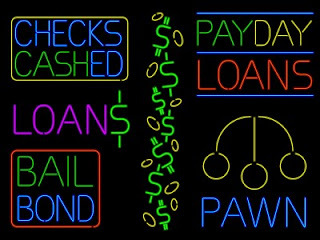 Financial advisers are saying customers need to look beyond payday lenders if they need to improve their credit. Long term low interest loans are a fantastic option for borrowers who can qualify for the loans. 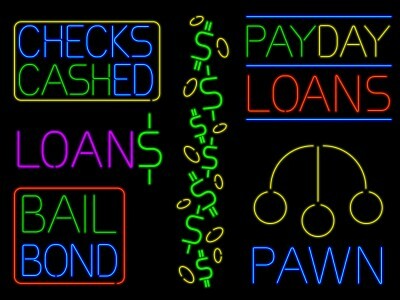 Consumers with poor credit may have to moonlight or use other ways to get extra money to get by. Niall Rice is involved with the payday loans business in the UK and is head of operations with payday-loansuk.org.uk an instant payday loans provider in the UK. The company specialise in payday loans deposited on the same day. I experience truly satisfied to have seen the website and look ahead to plenty of more amazing minutes reading here. I would like to see some more blogs related to this topic. Thanks a lot, I will surely follow posts on this blog from now on!